How many times do I have to ask you to knock?' 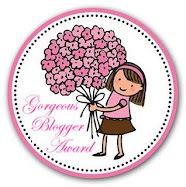 I yelled at Mary as she drifted through the door of my room and looked me up and down. 'Thou resemblest a strumpet,' she said, staring pointedly at my thigh-skimming skirt. Sometimes I had trouble understanding Mary’s weird babbling, but in this case I was getting her loud and clear. Suddenly, my mood was blacker than a vampire’s soul. Skye, a fourteen-year-old psychic, is stressed out. Not only is the ghost of a sixteenth-century witch giving her fashion tips, but she’s struggling to settle into life with her aunt, and is developing a crush on the most unattainable boy in the school, Nico. When her aunt asks for her help with a troubled teen ghost called Dontay, she's glad of the distraction. But then Nico starts paying her attention, and she's soon facing a battle to keep her love life and her psychic life separate. 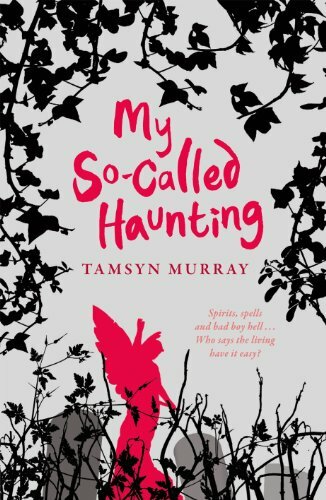 I loved Tamsyn Murray's first book My So-called Afterlife. 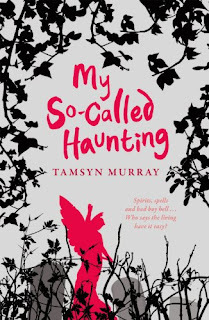 I thought it was a really enjoyable read - with great characters and fun dialogue - so I was very excited to read My So-called Haunting. It's more of a spin off than a sequel - taking the characters Jeremy and Celestine from the first book and introducing Celestine's niece Skye, who has moved from Scotland to live with her Aunt while her mother spends time abroad. Having had the psychic ability to see ghosts for as long as she can remember Skye now needs to find a way to balance this ability with carving out a life for herself in her new home - which includes trying to capture the interest of a rather gorgeous boy called Nico and help Dontay find out the reason he is still here so he can move on. I loved Skye straight away. 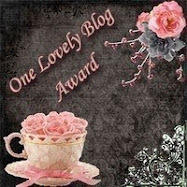 She is caring, thoughtful and witty and I really enjoyed getting the story from her point of view. I love that she is psychic and can see ghosts - it is a premise I can never tire of. I also really liked her best friend Megan - she's really quirky and a good friend to Skye. And I loved Nico and thought the relationship between him and Skye was very sweet. I found the direction it took very interesting and was a bit disappointed it wasn't resolved in this book but it gives me something to look forward to in the next installment - My So-called Phantom Lovelife. Dontay's storyline was really good and one of my favourite aspects of the story. I enjoyed watching Skye gain his trust and I love the way Murray manages to merge a serious storyline into the book and still have it feel lighthearted. The book is a pleasure to read and in places out right hilarious. There is one scene involving a triple jump mishap that had be laughing hysterically and then giggling to myself for the rest of the day! Mary is also a great source of humour and a fabulous character. I loved how she spoke and hope to see much more of her in My So-called Phantom Lovelife. Overall this is great fun and I'm really looking forward to more! Great review. I love it when books make readers laugh! It sounds fantastic. I really loved this, too. And I completely agree about watching Skye earn Dontay's trust. I really can't wait to read this - I loved My So-Called Afterlife as well and love it when books can make me laugh. I love the sound of Skye. I'm really looking forward to reading this. I'm hoping for lots of Tamsyn's trademark humour. My copy hasn't arrived it. I am wondering if Royal Mail have taken it hostage.